Here’s an area that I’ve been waiting to get with a moon set. 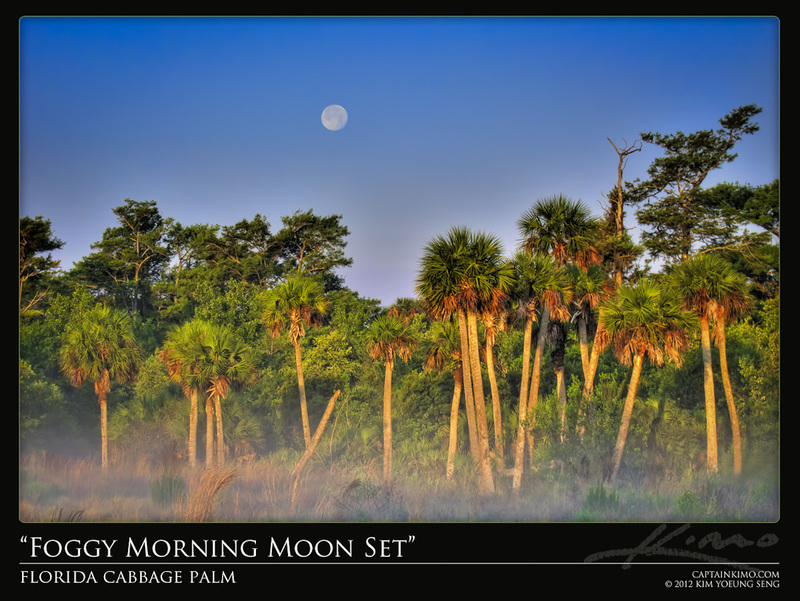 These Cabbage Palms make for a beautiful Florida Landscape photo. Add in some natural fog and it makes for a great Florida postcard image. Photo was taken with my Canon PowerShot S90 compact camera. It might be small but it can produce some amazing photos.